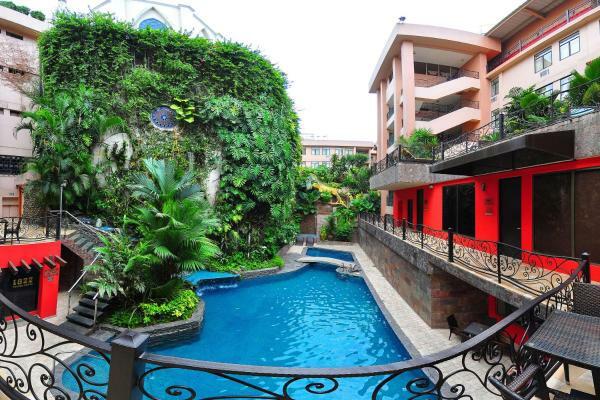 Hostal Murali is located in Guayaquil. 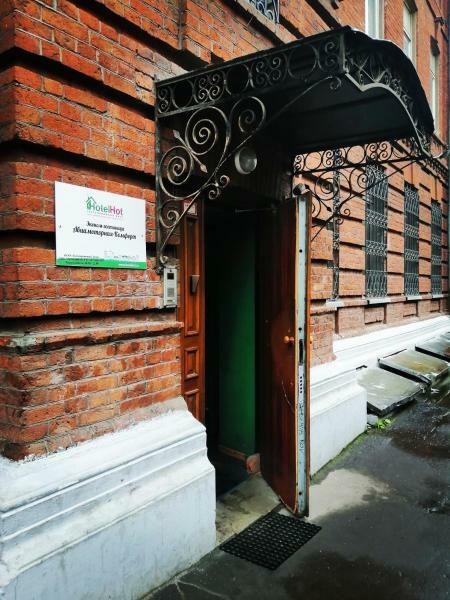 The hostel offers a free daily Continental breakfast, free Wi-Fi access and free private on-site parking. 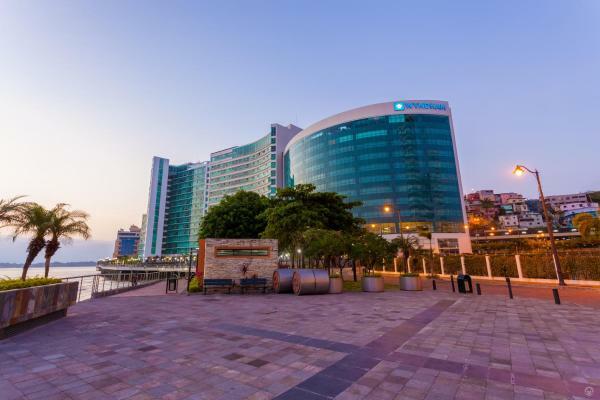 Featuring a swimming pool and a fitness centre, Wyndham Hotel Guayaquil offers rooms with free Wi-Fi and plasma TVs in Guayaquil. A restaurant is featured. Guayaquil Municipal Museum is 8 km away. 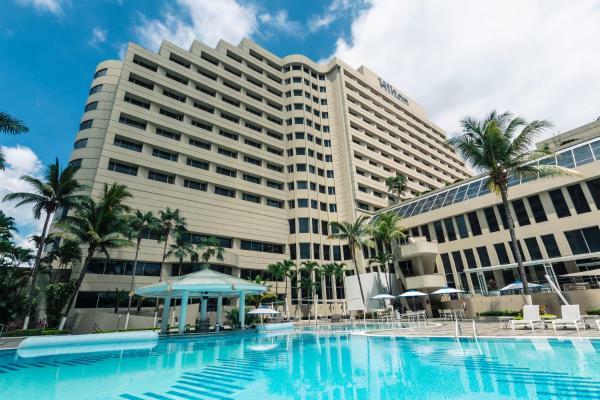 Located within the commercial and entertainment district of Guayaquil, this 5-star hotel features an outdoor swimming pool, spa with hydromassage and a gym. 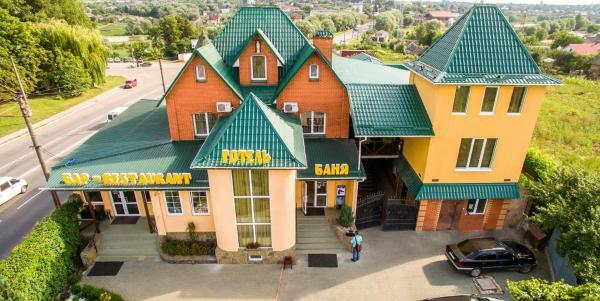 It also offers 4 restaurants. Offering an outdoor swimming pool and free Wi-Fi throughout, Nazu House is located 1 km from Coubertin Park and 3 minutes’ drive from the Art Centre. 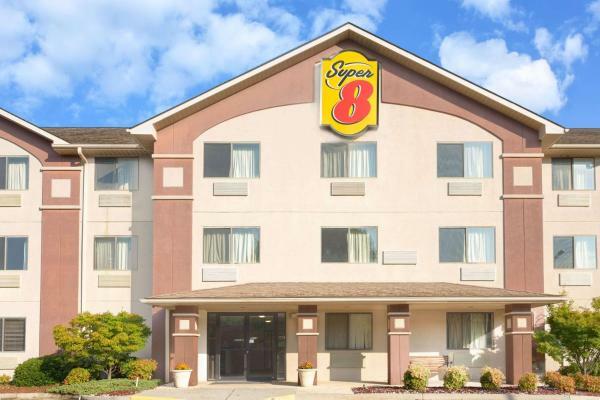 The rooms and suites offer a flat-screen TV and air conditioning. 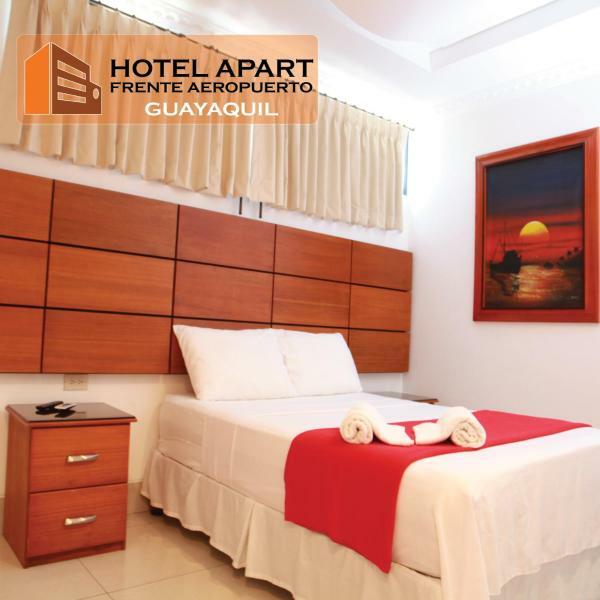 Boasting a shared lounge, Apart Guayaquil is located in Guayaquil, 4.1 km from Saint Francis Church. 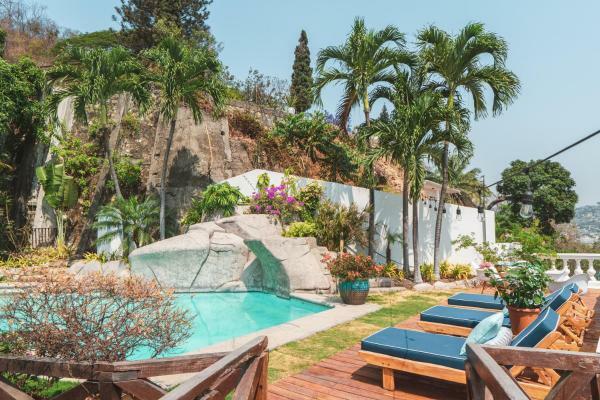 Built in 2015, the property is within 4.3 km of Malecon 2000 and a 5-minute walk of Mall del Sol Shopping Center. 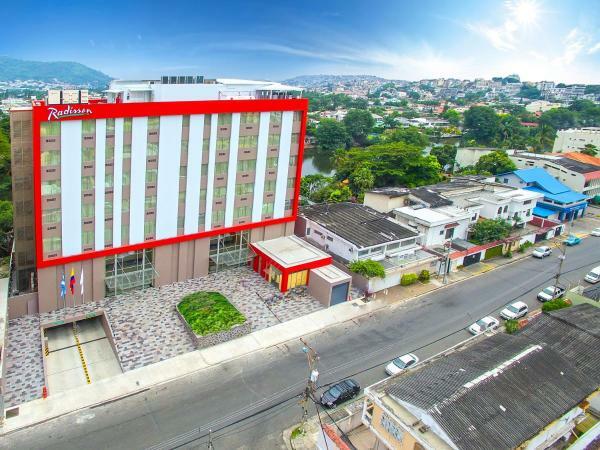 Only 2 km from Jose Olmedo International Airport, Sonesta Hotel Guayaquil offers plush rooms with free Wi-Fi and plasma TVs. There is a spa, a swimming pool and a fitness centre. The Malecon is 6 km away. 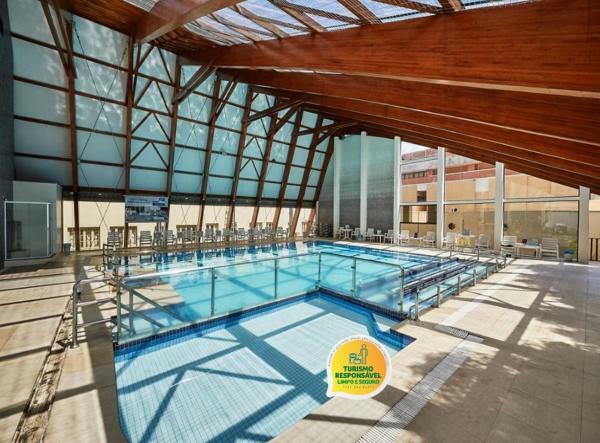 Located next to Guayaquil’s Metropolitan Cathdral, Grand Hotel Guayaquil features an outdoor swimming pool, gym and a restaurant. 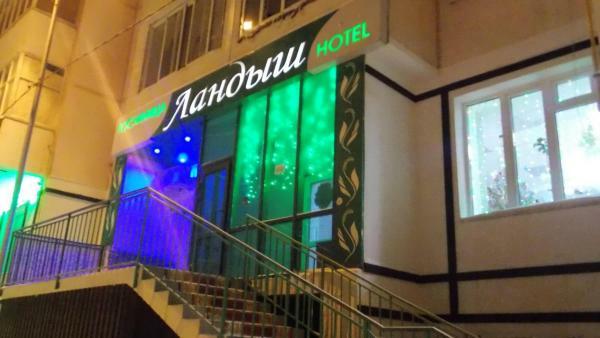 Its rooms come with free Wi-Fi and flat-screen TVs. 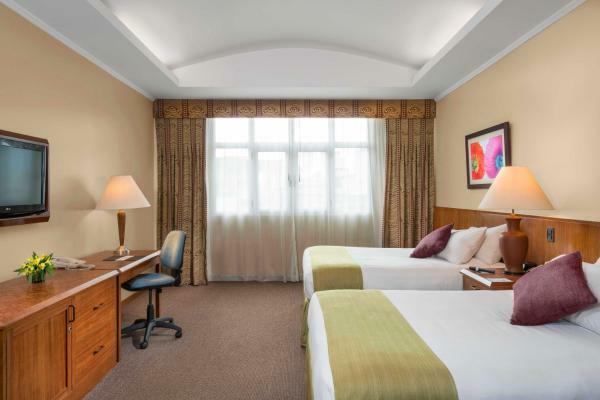 Gran Hotel Guayaquil has simple, traditional décored rooms. 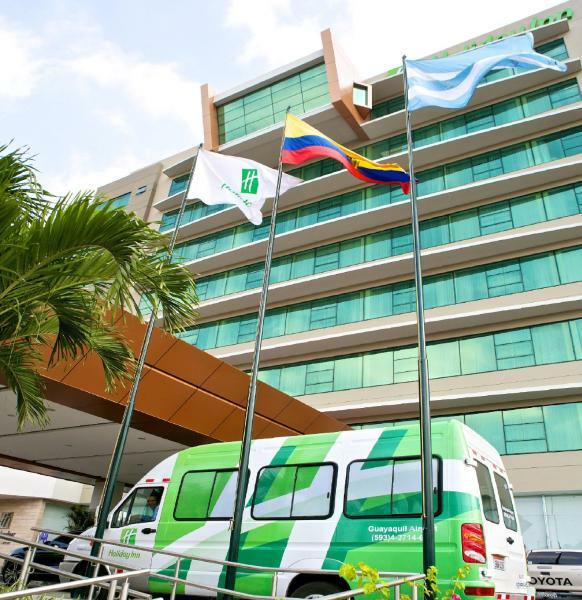 Unipark by Oro Verde Hotels is located beside Parque Seminario, opposite the Metropolitan Cathedral and just 3 blocks from Malecón 2000. It features a modern fitness centre and free Wi-Fi throughout the hotel. 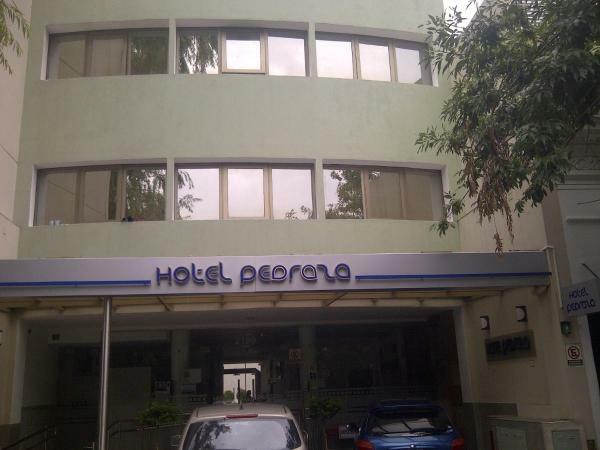 Hotel Palace is located in downtown Guayaquil, just 10 minutes’ drive from José Joaquin de Olmedo Airport. 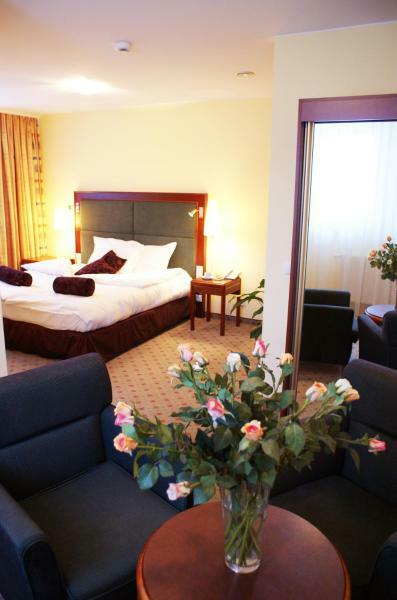 It features modern rooms with free Wi-Fi, an on-site restaurant, and a fitness centre. 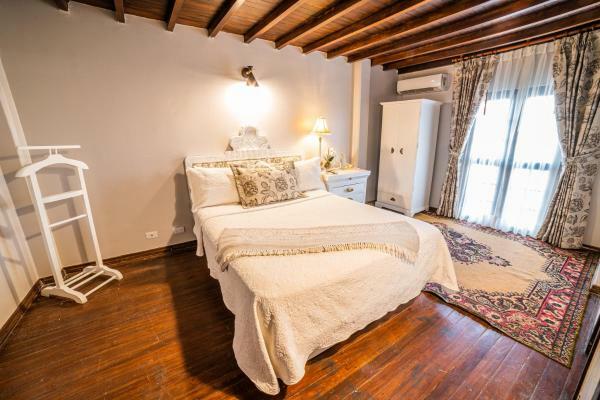 Set in a charming house in Samborondón, Hotel Boutique Orilla del Río offers classy rooms with free Wi-Fi, and breakfast. A hot tub and a Thai room are featured. 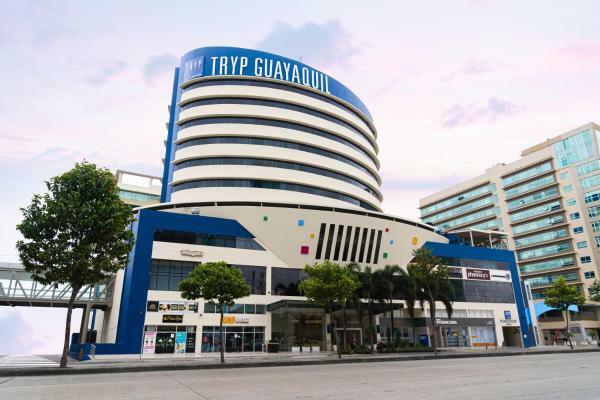 Guayaquil city centre is a 10-minute drive away. 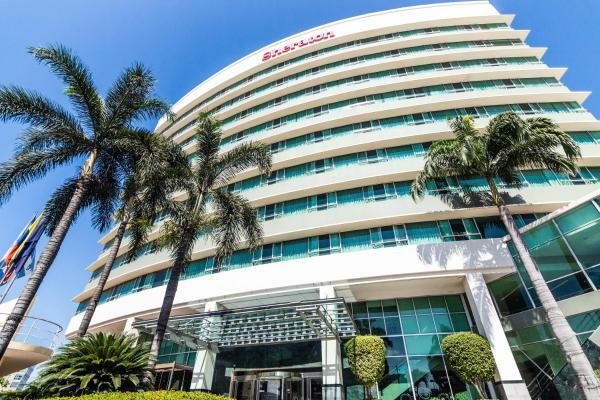 Situated in the Kennedy district of Guayaquil with an outdoor swimming pool and a fitness centre, Radisson Hotel Guayaquil offers accommodation with free Wi-Fi. A hot tub is available for guests. 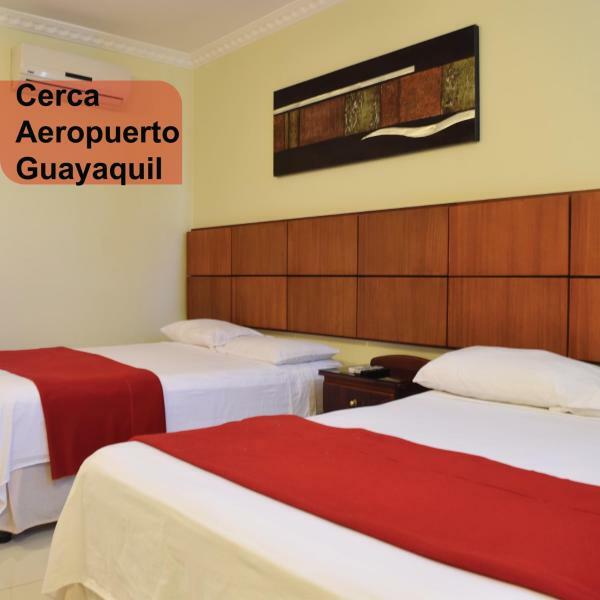 Set in a modern building with classic decor situated opposite the Iguana Park, Hotel Continental offers stylish accommodation in the heart of Guayaquil. 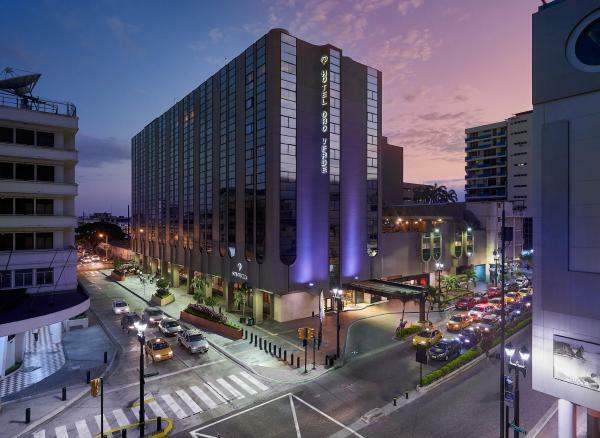 It features two restaurants, a bar and free Wi-Fi is available in every room. 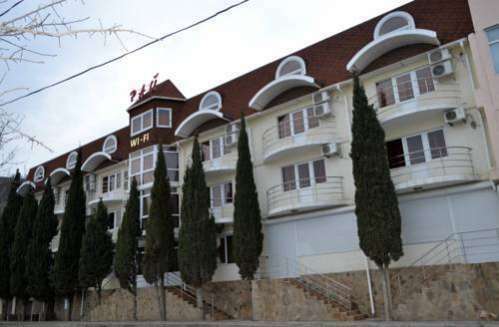 Offering complete, secure luxury accommodation, 1 km from San Marino Shopping Center and the down town district, the Hilton Colon offers spacious rooms with LCD TVs, a pool, 5 restaurants and 2 bars.